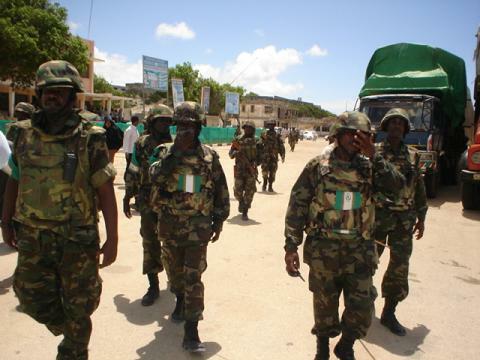 African Union to Send 2,000 Additional Troops to Somalia | Strike - Hold! With the shocking impressions of the effects of terrorism on their own front porch still freshly in mind, the leaders of the African Union member states yesterday met in Kampala, to discuss the and agree on the future face of the AU Mission in Somalia (AMISOM). The meeting in the Ugandan capital, which was rocked by two bomb attacks carried out by al-Qaeda-linked al-Shabaab militants and leaving more than 70 people dead, led to the decision to send 2,000 additional soldiers to Mogadishu. They will support a force of 6,000 Ugandan and Burundian soldiers sent to Somalia under the AU mandate to protect the still weak Somali government. 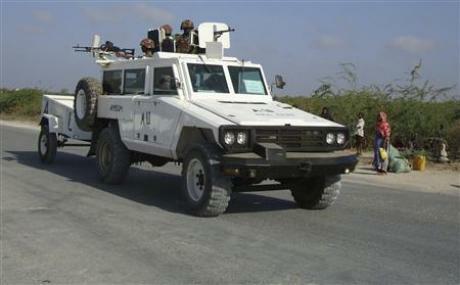 The request for the build-up of the AMISOM force was made by the Inter-Governmental Authority on Development (IGAD), an east African regional body which also strongly condemned the July attacks in Uganda, calling upon the international community to strengthen its economic and military support of the Transitional Federal Government (TFG) of Somalia in its effort to thwart the power of the terrorist groups in the war-torn country. The attacks clearly shifted the focus of the 15th African Union (AU) summit, for which more than 30 heads of state gathered in Kampala, towards the Somalia issue. 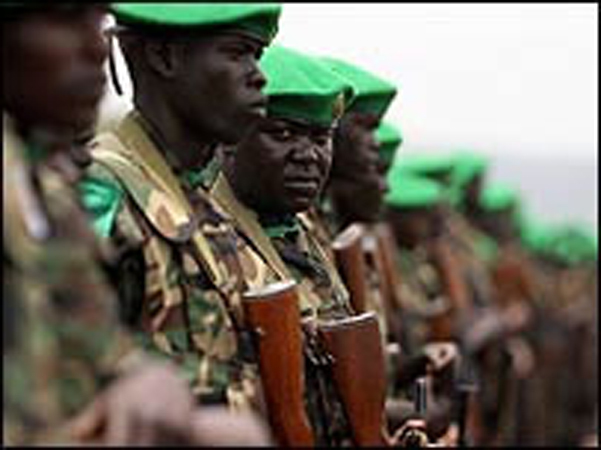 The political leaders answered the IGAD’s call with the approval to send more troops. However, the meeting did not provide a decision on a significant change of the rules of engagement for AMISOM. The deployed soldiers are faced with a very restrictive set of rules which limit their scope of action to defending TFG members and institutions as well as themselves when under attack. Although having been repeatedly attacked by insurgents and terrorists, AMISOM soldiers are not allowed to freely fight against the aggressors. According to different media sources, the mandate does not permit AMISOM troops to attack the insurgent’s bases, even though their location is known. Nevertheless, the attendees of the AU summit could not agree to change the mandate towards a more offensive approach. Apparently, the mandate’s definition of being a “peace support” operation does not provide the necessary flexibility to allow its soldiers to adopt a decisively more active and aggressive course. According to Al Jazeera, the AU members agreed to slightly modify the rules of engagement and to allow the soldiers to carry out pre-emptive attacks against insurgents. To what tactical extent this will give the troops the necessary flexibility and freedom of action to operate in this hostile environment cannot be judged at the moment. It also remains to be seen, if these modifications and the 2,000 additional troops will be enough to really significantly change the fragile situation of the TFG in Mogadishu. Looking towards the troublesome efforts of the international forces to bring peace and stability to Afghanistan and considering the decades of instability in Somalia, one can’t help to have rather sceptical feelings about Somalia’s fate. It is also questionable if the deployed troops are ready to assume the great responsibilities that come along with a peace-keeping mission. Reports have been heard about AMISOM troops indiscriminately shelling suspected insurgent positions in densely populated areas. Increasing civilian casualties is something which AMISOM should try to avoid under any circumstance in order not to play into the hands of the terrorist groups which easily recruit new members with each new civilian death. The continuous reluctance of many strong African nations to send troops to Somalia underlines the magnitude and complexity of the problems in Somali. However, a strong military partner from a third African country could be what would help AMISOM to start to make a difference at the Horn of Africa. Should al-Shabaab carry out further terrorist attacks outside of Somalia, the pressure on AU members to join the mission could grow. 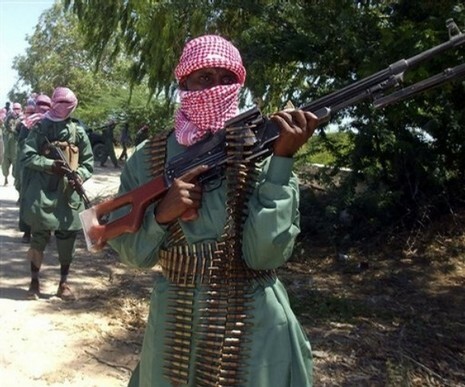 As defpro.com reported on 12 July, al-Shabaab spokesman Sheik Ali Mahmoud Raghe announced that the group will continue its “revenge attacks” and said: “The governments and the people of Uganda and Burundi defied our previous warnings to refrain from what their troops are doing [in Somalia] and they continued the massacre of our people in Mogadishu.” (see also http://www.defpro.com/news/details/16649/). Already in mid 2009, Raghe warned the AU that any attempts to expand the current AMISOM mandate would be met with violent resistance. The AU may have come a long way since its establishment in 2002 but the members should show greater unity and send a clear signal against such threats. 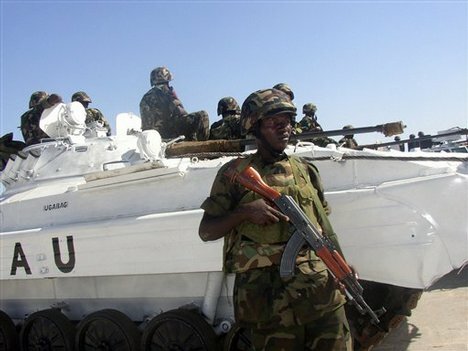 You’re currently reading “African Union to Send 2,000 Additional Troops to Somalia,” an entry on Strike - Hold!